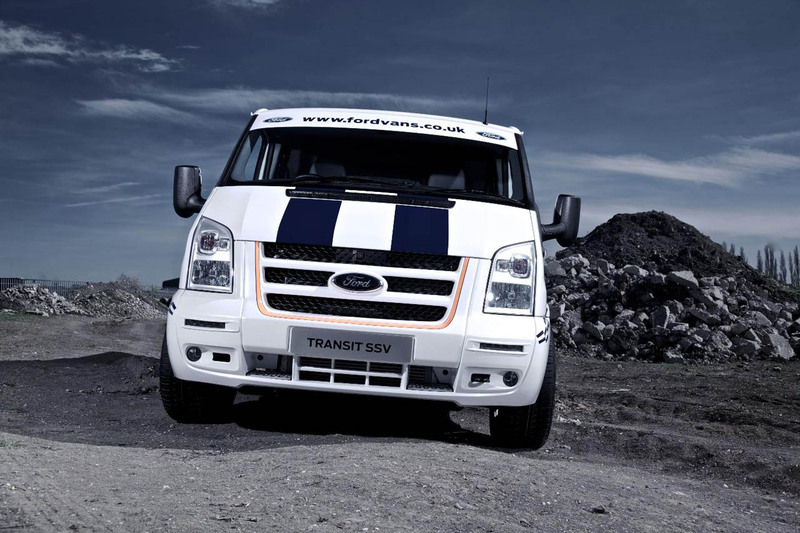 Typically a part of Britain’s landscape, Ford showed off a white Transit van in Birmingham, a place where it can be appreciated. I know you think I’m mad to pretend a typical white van standing out somewhere in the faded landscape that was built by these cars but I’m not really. 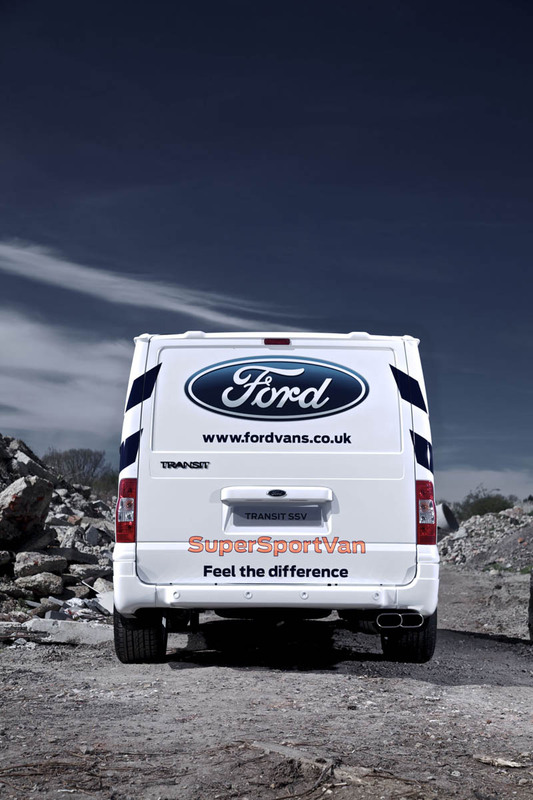 This is one truly special Ford SuperSportsVan and not some builders tool. The racing stripes may not give it away but the wheel and brake setup is certainly a hint. 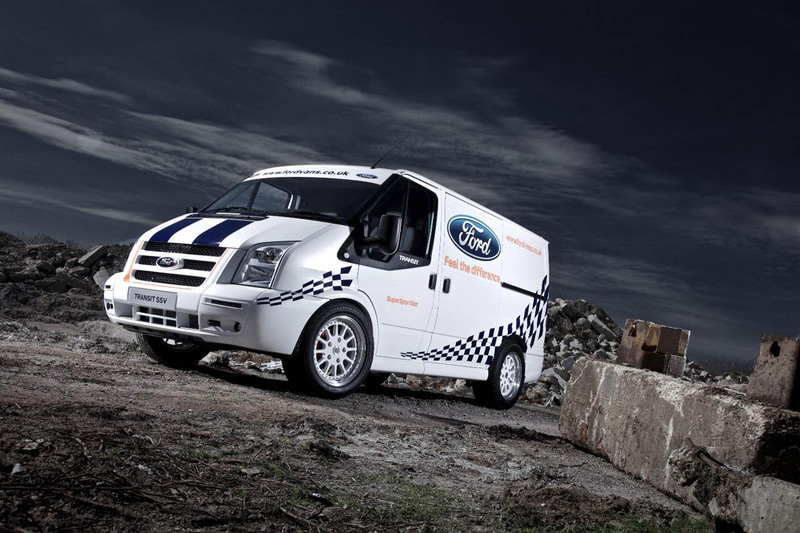 The bad boy van we have here is powered by a bit of an unusual powerplant for the Ford Transit as it is a five cylinder 3.2 liter unit. The number of cylinders isn’t relevant and nor is the size of the engine but the 200 horsepower it’s capable of might change the stats. A six-speed gearbox clearly gets all that power to the wheels whereas the short-wheelbase 260 chassis will most likely make the best handling capability. After all, the white van man reputation was clearly earned on performance and not driving civilized round corners or slowly. Just imagine what this sort of Blue Oval creation could do if taken round the Nurburgring properly, too bad this is nothing more than a concept.